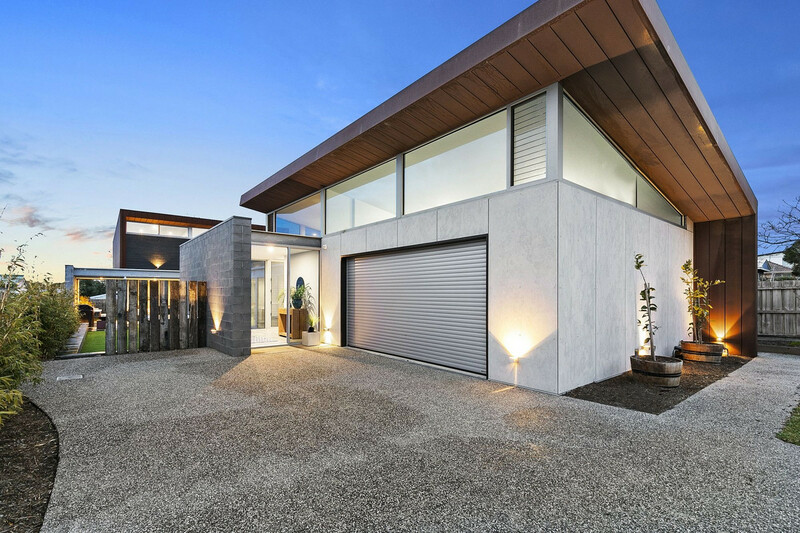 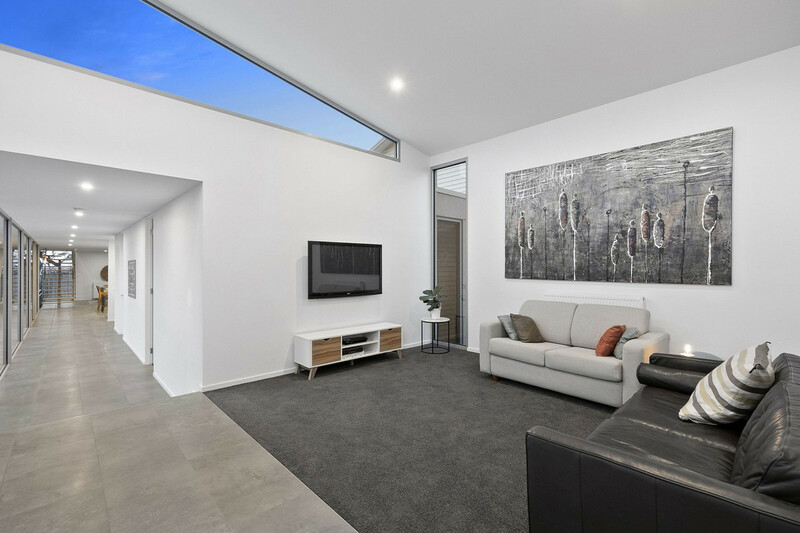 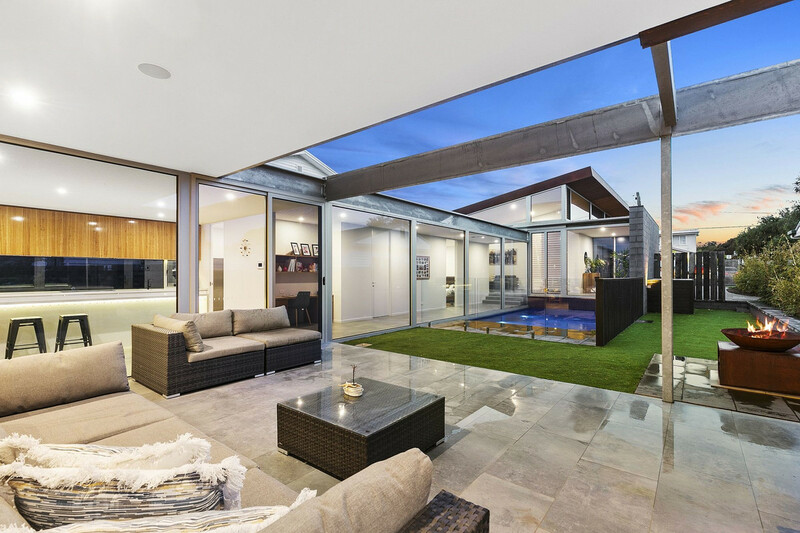 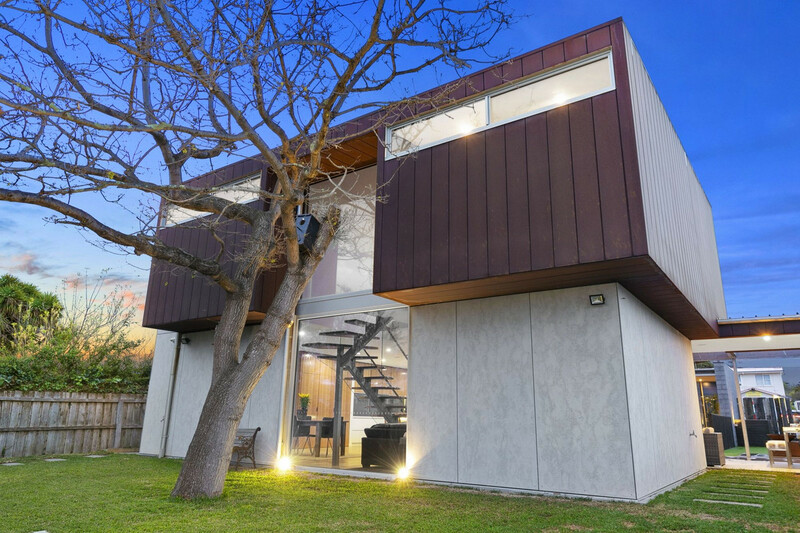 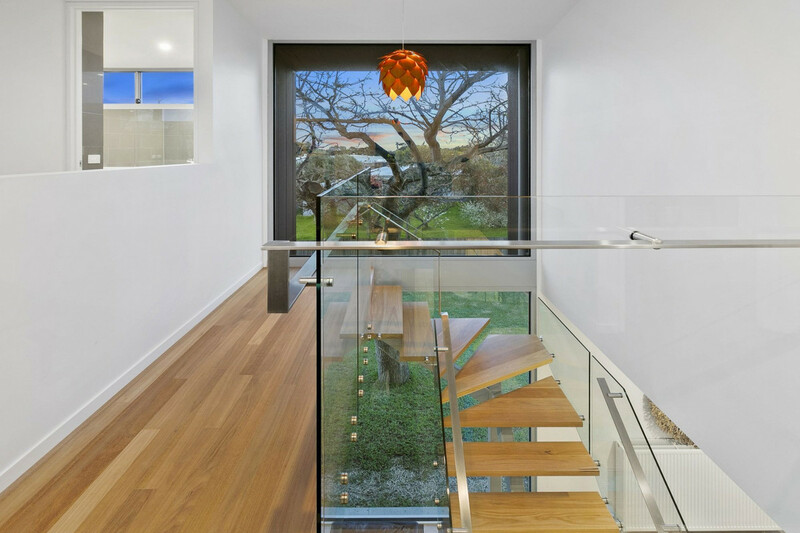 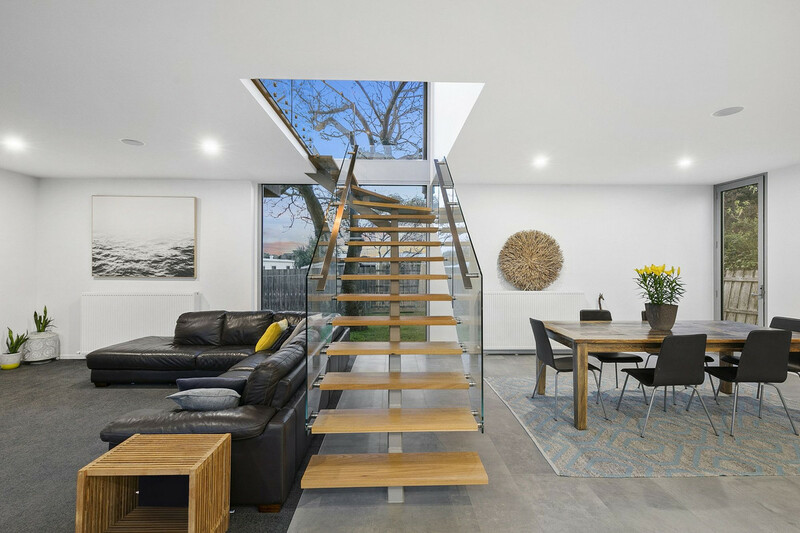 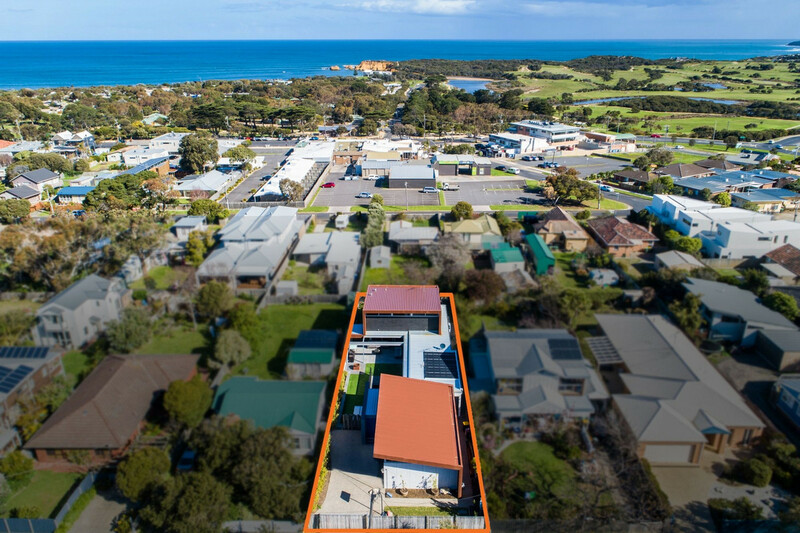 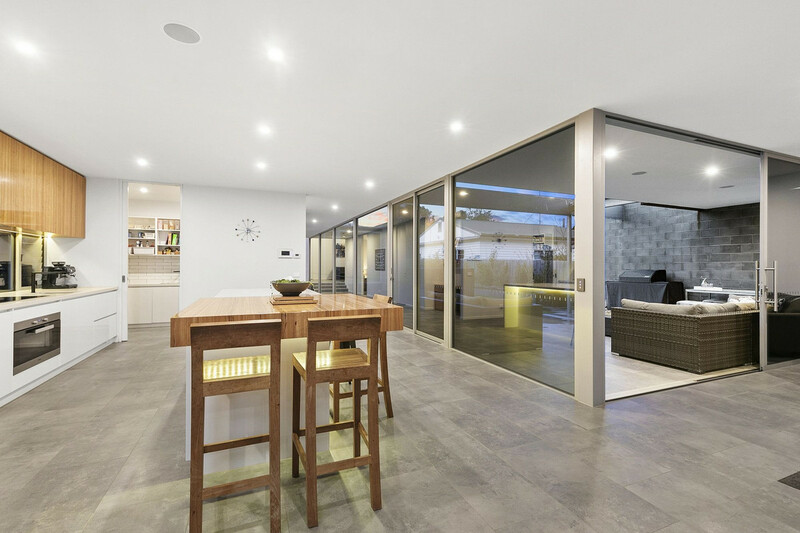 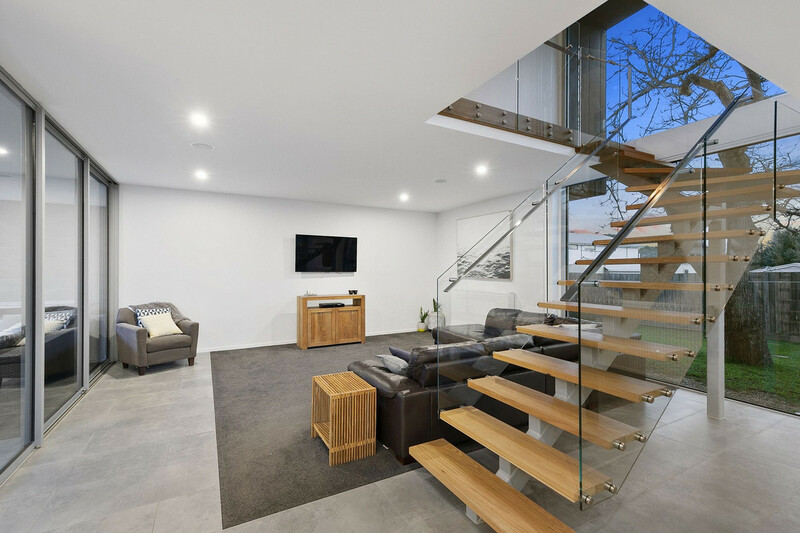 A clever design that maximises natural light and the breathtaking coastal surrounds, Price Street is an elegant architectural home that strikes a balance between contemporary comfort and warm character. 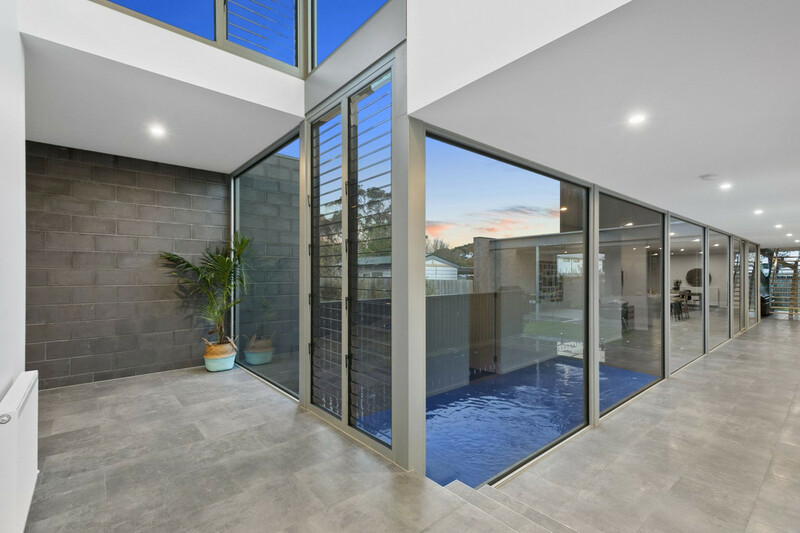 Wide-open living spaces with high-ceilings and louvre windows set a stylish tone downstairs with triple stacker sliding doors that allow the design to seamlessly flow out to a well-appointed backyard, complete with a covered alfresco, designated BBQ area, and solar-heated swimming pool. 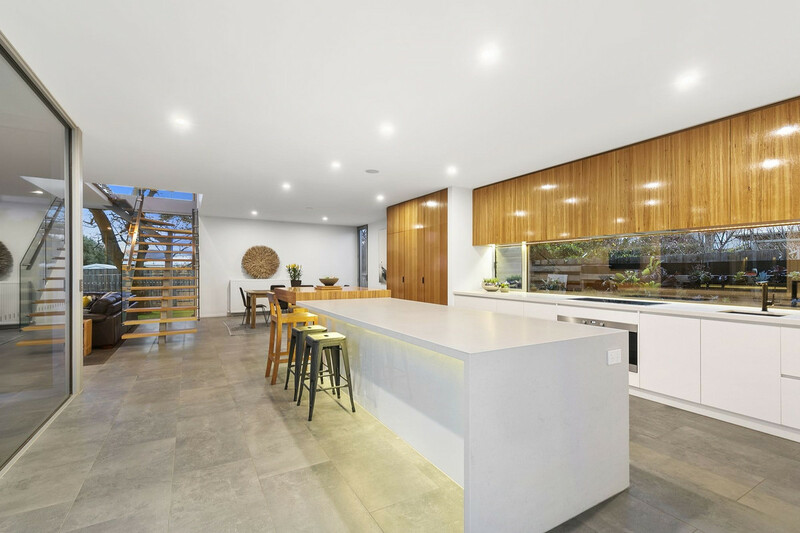 The kitchen is an entertainer’s dream and equally expansive as the rest of the home, with a feature stone island bench (over 4 metres long), full-size butler’s kitchen (including double sink) and Miele appliances. 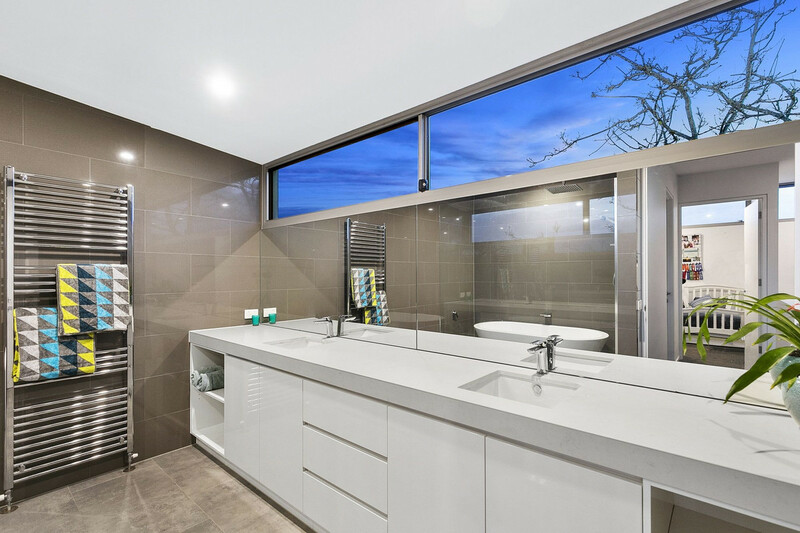 While the master bedroom continues the light and bright tones and boasts a large WIR and ensuite with his/her vanities. 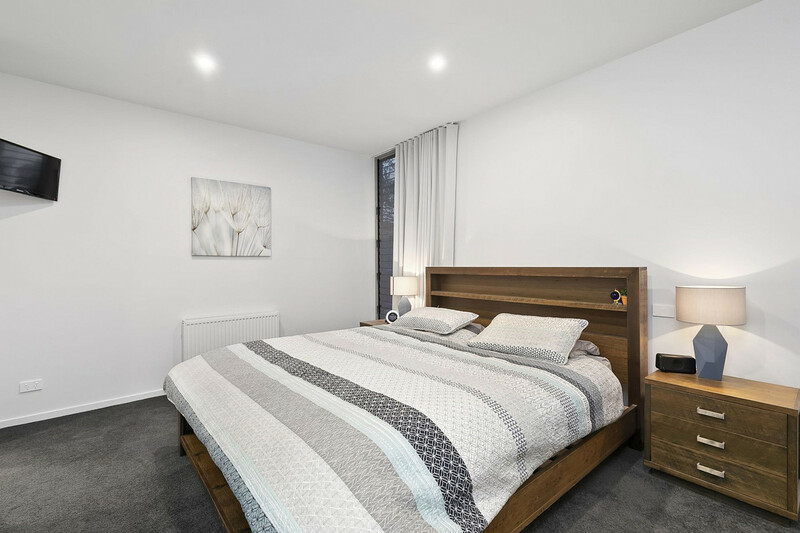 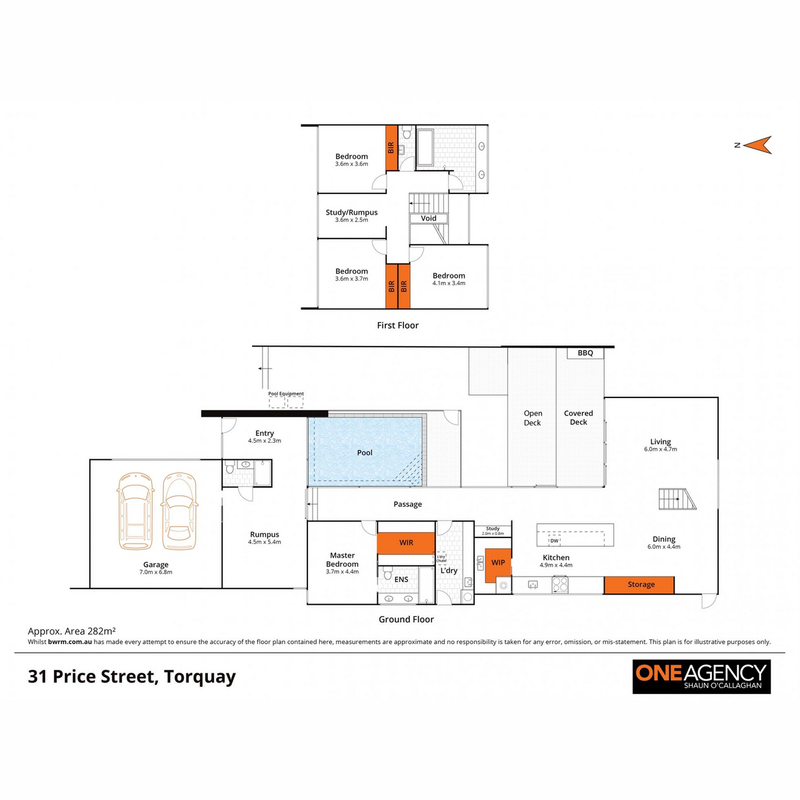 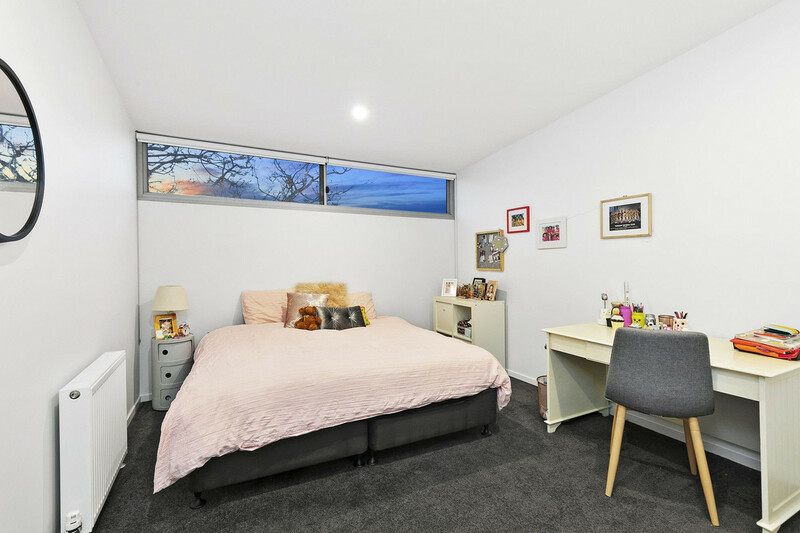 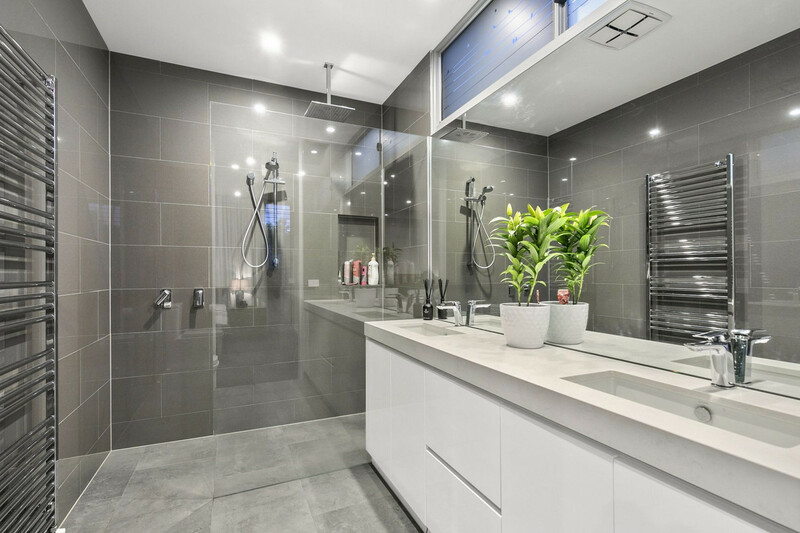 The remaining three bedrooms offer an abundance of storage and space, located upstairs, they’re separated by a third living room, bathroom with wet- area free standing bath, double vanity and large shower. 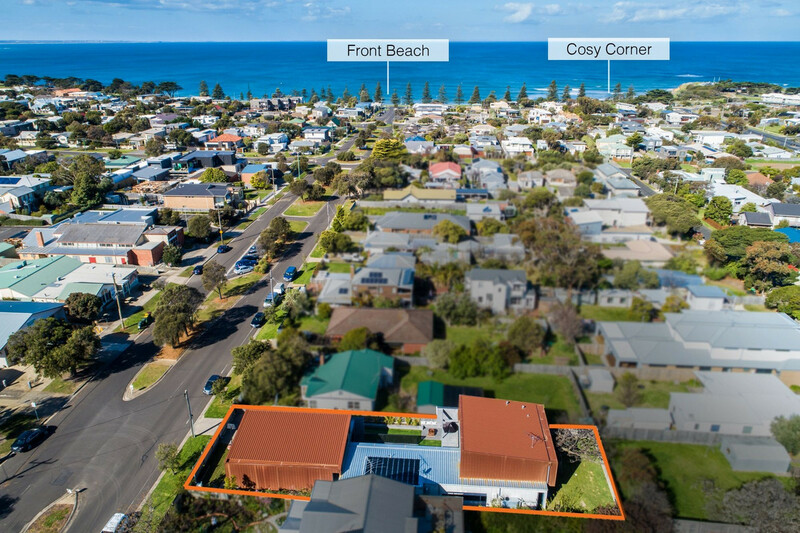 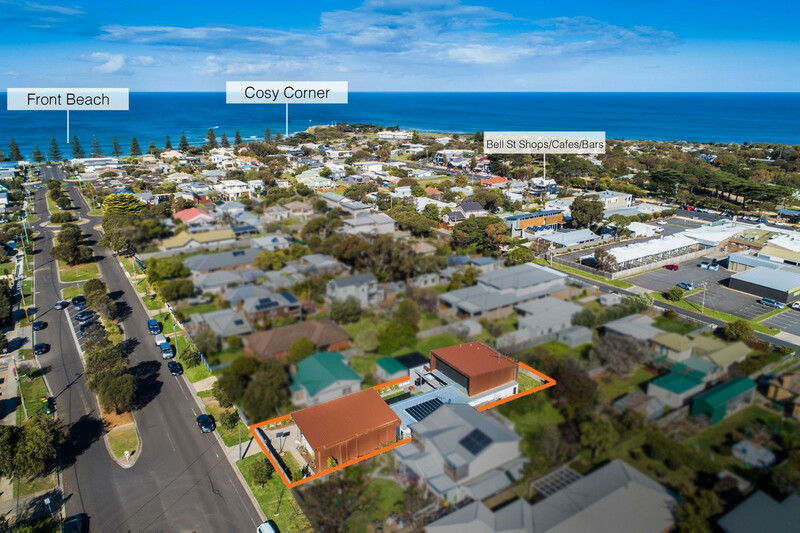 Located a short stroll from Torquay’s famed Esplanade and Bell Street and its quaint shopping and dining options, walking trails and the beach, Price Street has no shortage of amenities at your fingertips. 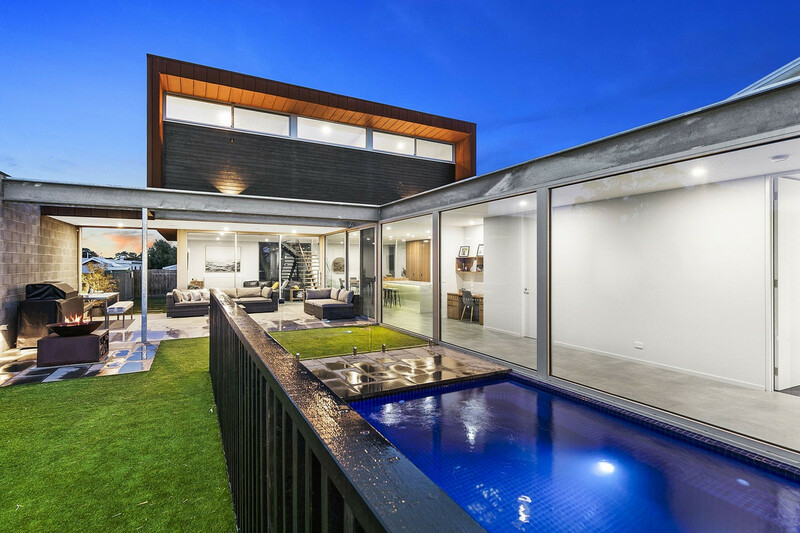 The home was designed by highly regarded local architect, Lachlan Shepherd, with flexibility in mind. 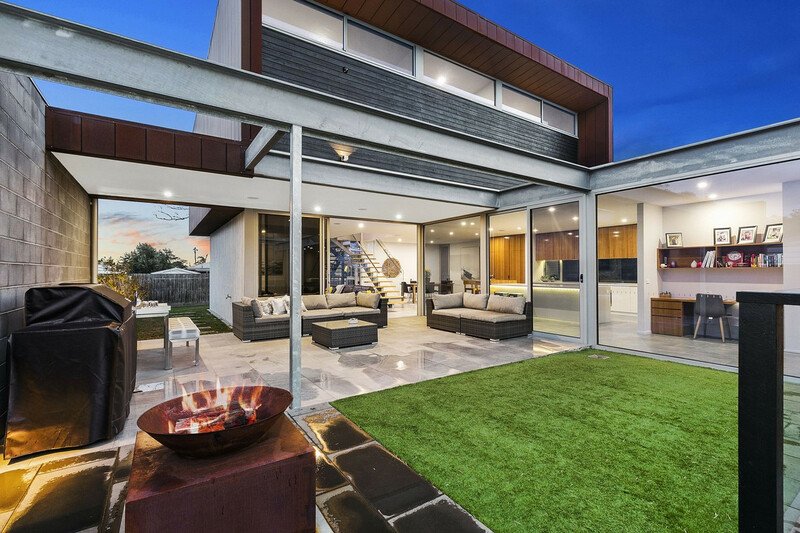 As versatile as it is practical, the lucky future-owners can truly settle into the property and enjoy its many features.